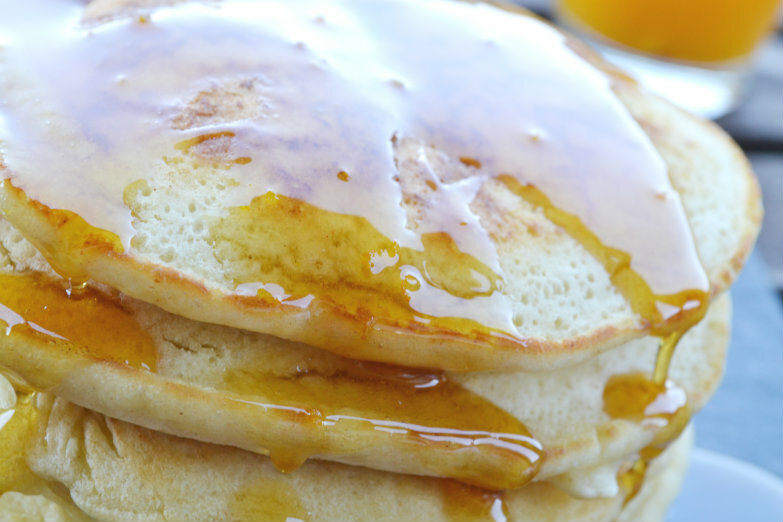 Orange flavored pancakes! A breakfast recipe! I am very happy to share with you today a guest post by Athena from CraftCookLove. I've been reading her blog for some time and I always drool with what she cooks! 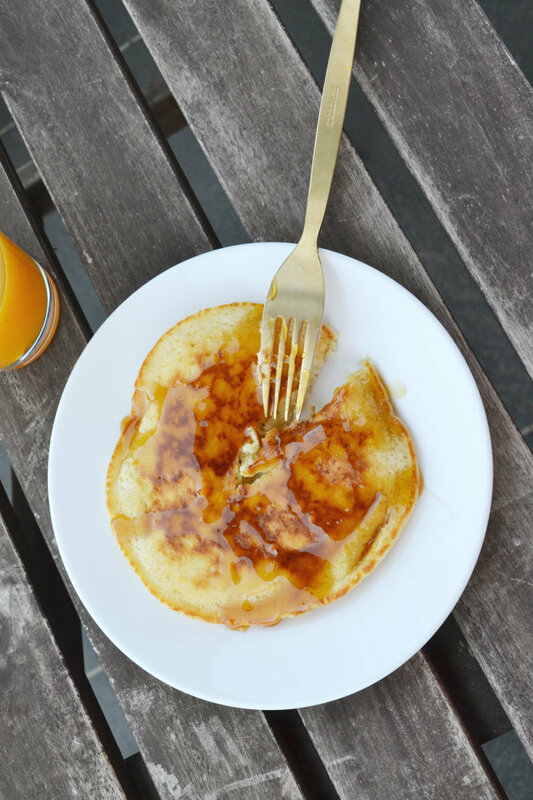 So I asked her for a guest post and was very pleasantly surprised when she send me this amazing recipe for breakfast pancakes! 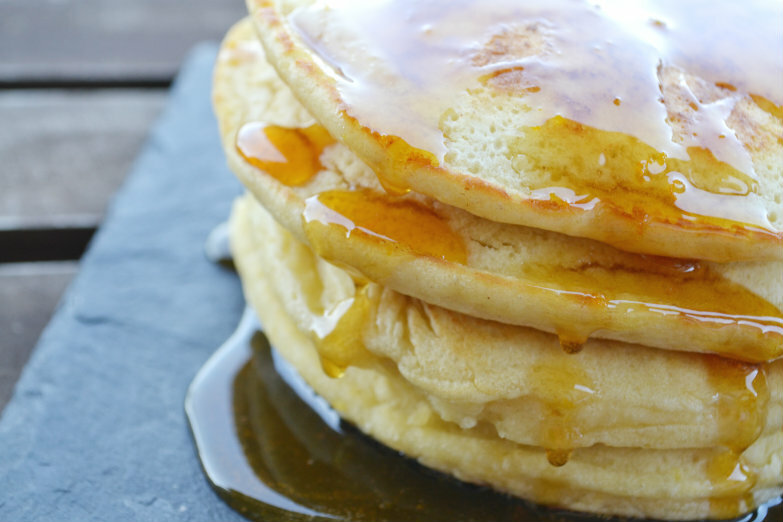 I love pancakes and yet I have never eaten them! I first heard of them almost 2 decades ago in a book I was reading by an American author. Then, I kept seeing recipes for them on the web and read about them more and more in other books. 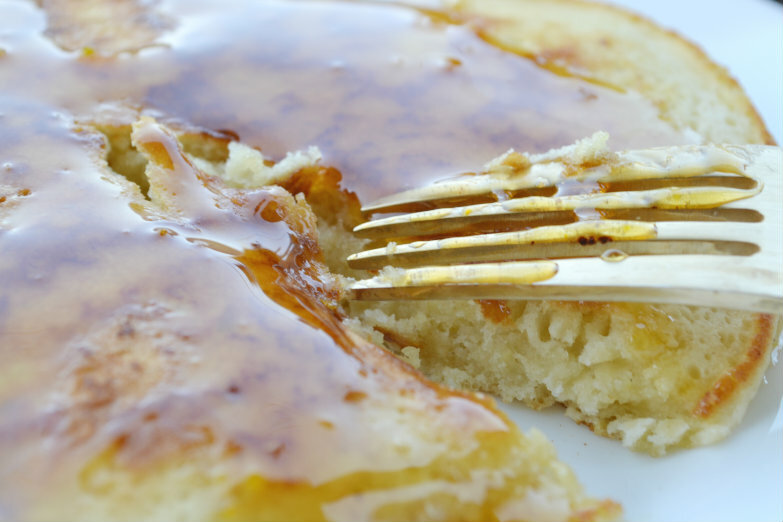 It seemed to me that every self-respecting American and Canadian was eating maple syrup pancakes! I've recently read a book about Vermont and a sugaring factory there! So you can understand my joy when Athena send me this recipe! I would like to make them right away but I am in the middle of another fasting therapy boot so I will be strong and stay away for now! But, in the end of the month, these babies are mine!!!! Let's hear what Athena has to say about this recipe! In a large bowl, mix the flour along with the sugar and salt. Add the egg and mix well with a simple egg bitter. Then add the milk and cream and keep stirring until you have an even and quite runny batter. Add to the fry pan and 1/2 t.s. of butter. Use medium temperature on your kitchen stove. When the butter starts melting start adding batter with a soup spoon (half full is fine). Spread it evenly in the fry pan and cook for approx. 3 minutes from each side. 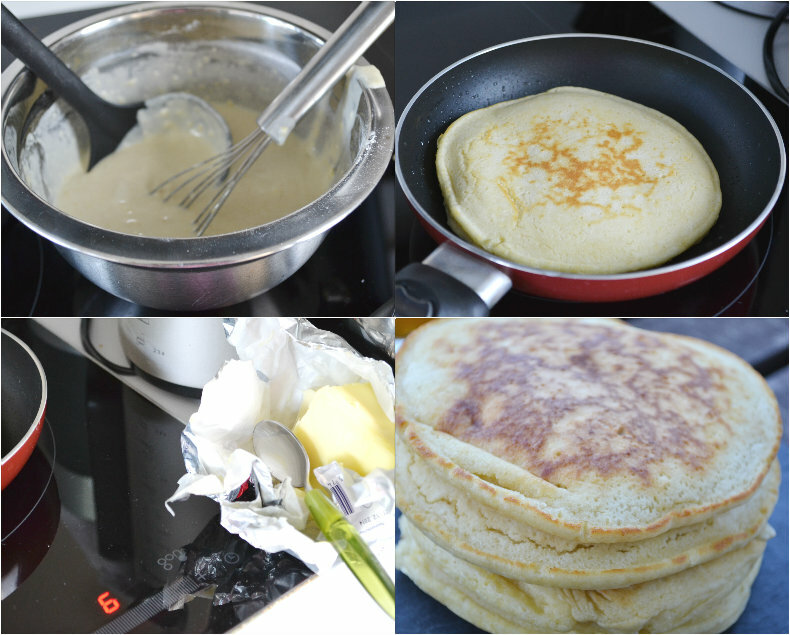 With a silicone spatula (heat resistant), flip the pancake and then place it to a clean plate. Keep repeating the previous steps until the batter runs out. In a small pot place the honey and the orange zest. Heat for just a little until the honey becomes runny. Pour the syrup on the pancakes. Thanks so much Athena for this amazing recipe! I literally can't wait to try it! Find Athena here and here. Don't forget to check out her Instagram account here. Hey, what are ya having for breakfast tomorrow morning?